In the history of television few shows have ever been as successful as Bonanza. The show debuted on NBC on Saturday night, 12 September 1959. In its first season Bonanza did somewhat poorly in the ratings, scheduled against the highly popular Perry Mason on CBS. In its second season its ratings rose considerably, with Bonanza ranking #17 out of all the shows on the air for the year. It was after the show was moved to Sunday nights in its third season, however, that it became a hit. In its third season Bonanza leapt to #2 in the ratings for the season. Bonanza would spend the next 8 years in the top five rated shows each year (a record that would not be broken for some time). For three straight seasons, from the 1964-1965 season to the 1966-1967 season, it was the number one show on the air. In all Bonanza spent 12 years in the top 20 highest rated shows for each season, 10 of those years in the top 10, 9 of those years in the top 5, and 7 of those of years in the top three. Arguably, Bonanza was the highest rated show in the United States during the Sixties. Given such success in its initial run Bonanza naturally went onto a highly successful syndication run. Indeed, it is still being shown on television stations and cable channels across the United States. Having been constantly run for over fifty years, today we tend to take Bonanza for granted, but when it debuted it was a ground breaking show, a fact that largely explains its success. Quite simply, Bonanza was different from anything that had come before it. Although considered a Western, in many respects it was less a Western than it was a period drama that just happened to be set in Nevada in the 1860's. Gunfights were rare and problems were usually settled by discussion between the characters rather than through violence. Much of this was perhaps due to the fact that Bonanza was the first of television's ranch Westerns. It centred on the Ponderosa, a huge ranch ran by the Cartwright family. The Cartwrights consisted of patriarch Ben (Lorne Greene); calm and cool oldest brother Adam (Pernell Roberts); middle brother and gentle giant Hoss; and romantic and reckless youngest brother Little Joe (Michael Landon). 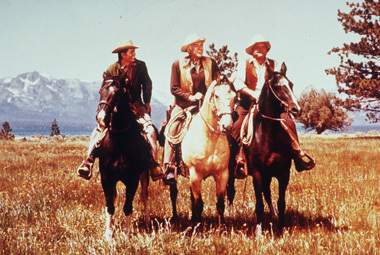 Not only was Bonanza the first ranch Western, but it was the first Western to ever be aired in colour. Bonanza would also be revolutionary in one other way. Well before "relevance" became fashionable on television in the late Sixties and early Seventies, Bonanza dealt with social issues. Over the years the show dealt with everything from racism to political corruption to religious intolerance. 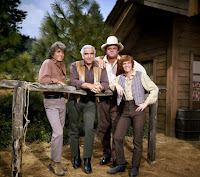 Bonanza was also one of the earliest shows to regularly feature minority characters. Victor Sen Yung was a regular on the show, playing the Cartwrights' cook Hop Sing, while guest stars included Rodolfo Hoyas, Philip Ahn, William Marshall, Chief Dan George, Ossie Davis, and several others. At a time when most shows on American airwaves not only featured casts who were entirely Northern European in descent, but guest stars who were as well, Bonanza was a very progressive show. As the first Western shot in colour, the first ranch Western, one of the first shows to regularly address social issues, and one of the first shows to regularly feature minorities, Bonanza was very different from anything that had come before it. Combined with a good cast, good guest stars, good writing, and good direction, it would have perhaps been surprising if Bonanza had not been a hit. Regardless, Bonanza received phenomenal ratings for most of its run, and for that reason its cancellation is a bit of a mystery. It is true that prior to its fourteenth and final season Bonanza was no longer the ratings powerhouse it once was. That having been said, it was still doing quite well in the Nielsens. In its twelfth season it ranked #9 for the season. In its 13th season it ranked #20 for the season. Bonanza had a promising start to its 14th season, despite the death of Dan Blocker (who played Hoss) that May. The debut episode for that season, "Forever (aired 12 September 1972)", ranked fourth in the ratings for the week. Unfortunately, Bonanza began a slide in the ratings from which it would never recover. In its second week Bonanza slipped to 39th place for the week. It dropped even lower the following week, losing an estimated 842,000 households according to the Nielsen ratings. In its fourth week Bonanza recovered, but only slightly. Unfortunately, Bonanza would continue to slip in the ratings, dropping as low as 52nd place for the week. It was on 6 November 1972 that NBC announced that they had cancelled the show. While the cancellation of Bonanza probably came as no surprise to television critics, industry insiders, and others who kept track of the Nielsen ratings, one has to suspect that it did come as a shock to the average television viewer in 1972. As it was NBC did not take the fate of Bonanza lightly. In his 14 November 1972 column in The Desert News, television editor Howard Pearson said that NBC had considered moving Bonanza again to another time slot before they decided to cancel it. In an Associated Press (AP) article from 14 November 1972 NBC executive vice president Herb Schlosser said of the cancellation of Bonanza, "And it was a very tough decision to reach and it took much agonising and much discussion." Although it might have seemed so at the time, NBC did not arbitrarily kill off the veteran Western. Of course, the question remains how what was possibly the most successful show on American television in the Sixties could have had such a precipitous fall in the ratings in a matter of a few weeks. 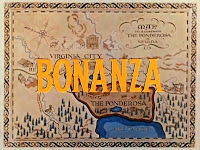 While ratings for Bonanza had dropped from what they had been at its peak, its ratings were still good in its thirteenth season (it ranked #20 out of all the shows on the air for the season) and the debut episode of its fourteenth season performed extremely well. Newspaper articles at the time offered various theories as to why Bonanza fell in the ratings. A United Press International (UPI) article from 6 November 1972 placed the blame firmly on the death of Dan Blocker, "After more than a decade as a national viewing institution, it was finally brought down by the loss of one of its original stars--Dan Blocker." The aforementioned AP article from 14 November 1972 placed the blame on other factors, "The Cartwrights will saddle up and ride off the NBC Television range for good next Jan. 23 after making Bonanza an American institution that withstood everything but time and Maude (Maude was a hit sitcom that debuted in the '72-'73 season--Terence)." TV columnist Howard Pearson in his 14 November 1972 column in The Desert News gave several possible reasons for the cancellation, among them the shift in timeslot from Sunday nights to Tuesday nights, the entry of older reruns of Bonanza into syndication that autumn, the death of Dan Blocker, and Maude. 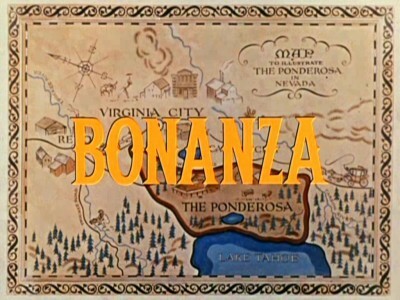 Sources written in the years following the cancellation of Bonanza have actually offered fewer theories as to why the show fell in the ratings in its fourteenth season than news articles published at the time. In The Complete Directory to Prime Time Network and Cable TV Show 1946-Present (first published in 1979) authors Tim Brooks and Earle Marsh theorised that Dan Blocker's death combined with the move from Sunday night to Tuesday night could have led to the drop in ratings it experienced in its fourteenth season. The Encyclopaedia of Television: A-C, Volume 1, edited by Horace Newcomb and published by the Museum of Broadcast Communications, also blames the drop in ratings on the death of Dan Blocker and the move from Sunday night to Tuesday night. In A Reference Guide to Television's Bonanza: Episodes, Personnel and Broadcast History (published in 2011) authors Bruce R. Leiby and Linda F. Leiby blame the catastrophic ratings drop of Bonanza in its fourteenth season firmly on Dan Blocker's death. Of the various theories as to why Bonanza dropped precipitously in the ratings in its fourteenth season, the theory that it was the death of Dan Blocker that caused it appears to be the most common. 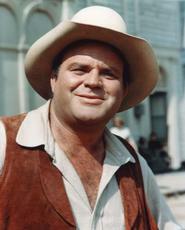 As Hoss Cartwright, Dan Blocker was one of the show's four original lead actors. Over the years he had easily become the most popular character on the show. It was on 13 May 1972 that Dan Blocker died unexpectedly from a pulmonary embolism following gall bladder surgery. While the show had already survived the departure of one of its leads (Pernell Roberts, who played oldest brother Adam, had left the show after six years) and even prospered afterwards, the death of Dan Blocker was an entirely different situation. Hoss was the most popular character on Bonanza, to the point that he was much more central to the show's success than Adam ever had been. Indeed, a UPI article by Vernon Scott published on 18 May 1972 theorised that Dan Blocker's death could kill Bonanza--this five months before the show's cancellation. An NEA article published 19 August 1972 also questioned Bonanza's viability following Dan Blocker's death. The cast and crew of Bonanza themselves realised all too well the important contribution that Dan Blocker had made to the series. At the time Lorne Greene expressed surprise that NBC had decided to continue with Bonanza following the death of Dan Blocker. In an AP article from 7 November 1972, executive producer and creator of Bonanza David Dortort admitted that they were still trying to overcome "the tremendous gap" that had been left by Dan Blocker's passing. The death of Dan Blocker could explain why Bonanza did well in the ratings with the debut episode of its fourteenth season, then proceeded to plummet in the ratings. 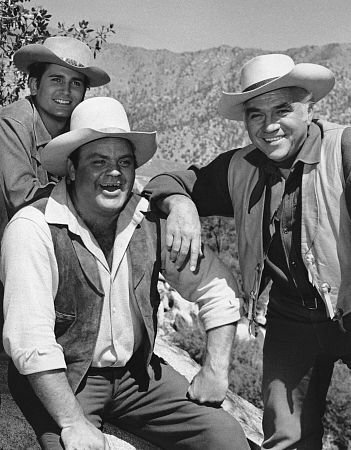 Viewers tuned into Bonanza in its new time not only to see an episode in which Dan Blocker was not only blatantly absent, but in which it is explained that Hoss Cartwright has died as well. "Forever", the first episode of Bonanza's final season, may have simply reminded viewers that Dan Blocker was dead and, as a result, these viewers never returned. Those viewers who continued to watch Bonanza over the next several weeks may have gradually stopped doing so, noticing the "tremendous gap" to which David Dortort referred after Dan Blocker's death. At any rate, Bonanza would not be the only show whose demise might have been caused by the death of one of its stars. Fellow Western Alias Smith and Jones also went off the air in January 1973 and may have done so for similar reasons. Peter Duel, who had played Hannibal Heyes (alias "Smith") committed suicide on 31 December 1971. Afterwards Roger Davis was recast in the role. Perhaps as a result of Mr. Duel's death, Alias Smith and Jones fell in the ratings and never recovered. The star of hit comedy Chico and the Man, Freddie Prinze, shot himself on 28 January 1977. Chico and the Man would last only a little over a year more, having dropped in the ratings. On 28 May 1998 Phil Hartman, one of the stars of the sitcom NewsRadio, was murdered by his wife. Never a ratings smash, NewsRadio dropped in the ratings in the season following Mr. Hartman's death, resulting in the show's cancellation. On 11 September 2003 John Ritter, then star of 8 Simple Rules for Dating My Daughter, died from an aortic dissection caused by an undiagnosed congenital heart defect. 8 Simple Rules (as the title was later abbreviated) would only last one more season following John Ritter's death. Having come in 50th place in the ratings out of all the shows on the air in its previous season, in the season following John Ritter's death, it dropped to 90th place. It is true that there have been shows that have survived the deaths of actors who played major characters. The Waltons survived the death of Will Geer, who played Grandpa on the show. Dallas lasted another ten years following the death of Jim Davis, who played patriarch Jock Ewing on the show. Following the death of Nicholas Colasanto, who played the bartender Coach, Cheers continued for another 8 years. While there are shows that have survived the deaths of important cast members, it would seem that there are many that have not. As to what guarantees a show's demise following the death of a cast member, that would appear to be how central that cast member is to the show's success. Peter Duel, Freddie Prinze, and John Ritter were respectively the stars of Alias Smith and Jones, Chico and the Man, and 8 Simple Rules for Dating My Daughter. While Phil Hartman was not the star of NewsRadio, his character Bill was easily the most popular character on the show. Dan Blocker was not only one of the three leads on Bonanza, but he also played the most popular character on the show, Hoss, as well. It would have been highly unusual had Bonanza not fallen in the ratings following his death. In fact, history shows TV series that have a lead character die often do exactly what Bonanza did following Dan Blocker's death--they fall catastrophically in the ratings. After Dan Blocker's death, the second most common reason given for Bonanza's dramatic decline in the ratings is its shift in time slot from Sunday at 9:00 PM Eastern/8:00 PM Central to Tuesday at 8:00 PM Eastern/7:00 PM Central. NBC apparently had good reasons for doing so. During the summer of 1972 episodes of Bonanza were rerun on Tuesday nights at 7:30 Eastern/6:30 Central under the title Ponderosa. These reruns did extremely well in the ratings. At the same time, although it was still doing well, Bonanza had dropped in ratings on its traditional Sunday night time slot. NBC then probably viewed a move to Tuesday night as being favourable to the show. While Bonanza had prospered in its Sunday night time slot, however, it swiftly fell in the ratings in its new Tuesday night time slot. On the surface it would then seem that Bonanza's change in time slot could have hurt the show in the ratings. After all, Bonanza had spent the past eleven years in the same time slot on Sunday night. At the time that Bonanza was cancelled many TV critics thought that the move in time slots had hurt the show in the Nielsens. Even star Lorne Greene thought so, noting in a UPI article published 7 November 1972 that the shift in the time slot was done "...with very little publicity about the change." Historically, a change in time slot can either help or hurt a show in the ratings--it is a very rare thing that a show is moved from one time slot to another with little change to its ratings. Bonanza is one of the many examples of a show that was actually helped by a shift in time slot. It was only after it was moved from its original Saturday night slot to the Sunday night slot it had for years that it became a runaway hit. Among many other shows that have been helped by a change in time slot are The Man from U.N.C.L.E. and WKRP in Cincinnati. Of course, nearly as many shows have been hurt by a shift in time slots as have been helped by such. Petticoat Junction had spent its first four seasons on Tuesday night and ranked in the top thirty highest rated programmes each season. In the show's fifth season it was moved to Saturday night where it ratings dropped. There can be no doubt that the show's fate was sealed when star Bea Benaderet died on 13 October 1968 from lung cancer. Another show that was hurt by a move in time slot was Charlie's Angels. The show spent its first four seasons on Wednesday night. While ratings had dropped in its fourth season, it came in at #20 for the top rated shows for the year. For the series' fifth season ABC moved the show to Sunday night, and Charlie's Angels plummeted in the ratings. Further shifts in time slot to Saturday and then back to Wednesday did not help matters. Yet another show that experienced a drop in ratings due to a shift in time slot was Mork and Mindy. In its original Thursday night time slot Mork and Mindy ranked #3 in the Nielsen ratings for the season. For its second season ABC moved the show to Sunday night, where it dropped to #27 in the ratings for the season. The show never recovered. After a move back to Thursday night, it continued to drop in the ratings. In its third season it ranked #49 for the season. In its fourth and final season it ranked #60 for the season. 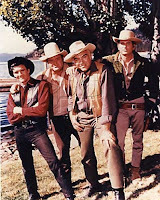 Given the fact that Bonanza dropped in the ratings in its new Tuesday night time slot and other shows have suffered similar fates when moved to a new time slot, it would seem that Bonanza's shift in time slot from its old Sunday night time slot to a new Tuesday night time slot could have hurt the show in the ratings. That having been said, there is one huge problem with the theory that the shift in time slot was a major factor in Bonanza's ratings decline. Quite simply, the debut episode of the final season of Bonanza, "Forever", ranked #4 for the week. Despite Lorne Greene's statement that the move was made with very little publicity, then, it seems quite obvious that viewers knew when Bonanza was on. The impact that the shift in time slot may have had on Bonanza's ratings may have been limited to the competition in that time slot. Quite simply, it may not have been so much the fact that Bonanza had moved from its traditional Sunday night time slot to Tuesday night as it was that it aired against the new situation comedy Maude on Tuesday night. Maude was a spinoff of All in the Family, then the number one show on television. It centred on Maude Findlay (Bea Arthur), the outspoken, liberal cousin of Edith Bunker of All in the Family. It debuted on 12 September 1972, the very night that the fourteenth and final season of Bonanza debuted. Its first episode ranked #11 for the week in the ratings. In its second week Maude rose to #6 for the week in the ratings. In the same week Bonanza dropped from 4th place to 39th place for the week in the ratings. In October 1972 while Maude steadily rose in the ratings, Bonanza continued to drop. A cursory glance at the American television ratings for late 1972 would seem to indicate that viewers were leaving Bonanza in favour of Maude. Despite this there could be good reason for not concluding that it was Maude that killed Bonanza, even though several news articles from the era concluded that this was the case. In an AP article published 14 November 1972 NBC executive vice president Herb Schlosser said that he was not certain that it was Maude that killed Bonanza. He noted that the fourteenth season's debut episode did very well, "...but it never seemed to build from that." While news articles from late 1972 and early 1973 often cite Maude as a factor (often the primary factor) in Bonanza's demise, it is notable that many (perhaps most) sources written since then barely acknowledge Maude as a factor in Bonanza's ratings decline and often do not do so at all. Instead sources published in the decades since Bonanza ended its network run tend to focus on the death of Dan Blocker and the shift in time slot as the key factors in the show's demise. Both Herb Schlosser at the time that Bonanza was cancelled and sources published since the show ended its run on NBC may have good reason to downplay Maude as playing a role in the show's ratings drop. For 12 September 1972 Bonanza ranked #4 for the week, while Maude ranked #11. The following week Maude rose to #6, while Bonanza fell to #39. While this would seem to indicate people were leaving Bonanza for Maude, that may not be the case. Quite simply, while Bonanza was making massive drops in the ratings with each passing week, Maude was not making massive leaps in the ratings each week. Indeed, for the night of 17 September 1972, Bonanza dropped 35 places while Maude only rose 5 places. While Bonanza was losing millions of viewers each week, Maude's gains could only be measured in hundreds of thousands. This would seem to indicate that some viewers might have elected to watch something other than Bonanza or Maude. A few might have elected to watch Temperatures Rising on ABC (a very few, if its ratings were any indication), while others may have elected to watch PBS or one of the independent stations so common in the Seventies. Yet others might have elected not to watch television at all. While there can be little doubt that Maude did steal some viewers from Bonanza, it does not seem as if it stole all of them or even the majority of them. Quite simply, then, it would seem as if there were other reasons that people (particularly long term fans of the show) had stopped watching Bonanza than simply the "hot new show" on CBS. 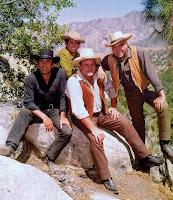 So far I have discussed the reasons most commonly given for Bonanza's drop in the ratings in its fourteenth season. One that is almost never mentioned is one of the reasons Howard Pearson gave in his 14 November 1972 column in The Desert News: the entry of reruns of earlier seasons of Bonanza in syndication in the autumn of 1972. Mr. Pearson noted that in some markets Bonanza was being run daily, and theorised that this could have hurt the new episodes on NBC through overexposure of the show. To a degree this does seem to make sense. 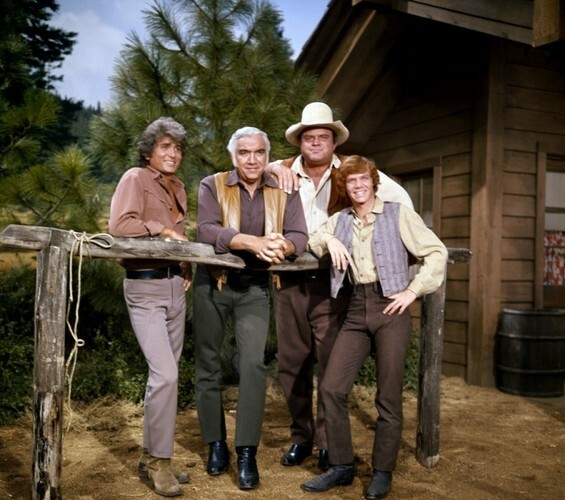 A viewer who watches Bonanza every weekday on his or her local television station may have no desire to watch the new episodes of the show in prime time on NBC. The problem is that even a cursory examination of television history shows that this theory does not hold up. Through the years several shows have entered syndication while still in their initial network run without any negative effects on the ratings of the new episodes airing on a network. Indeed, in some cases it would appear that reruns aired daily in syndication, on a network, or on a cable network actually helped the ratings of a show still airing on a network. An example of this is The Andy Griffith Show. Reruns of The Andy Griffith Show began airing daily in its fifth season in 1964. Rather than dropping in the ratings, The Andy Griffith Show rose slightly in the ratings, from #5 for the 1963-1964 season to #4 in the 1964-1965 season. And it seems possible the daily reruns of the show might have helped it over time. By the 1966-1967 season The Andy Griffith Show had risen to #3 for the year. In its final season on the air, the 1967-1968 season, it was the #1 show on the air. A better example may come from more recent years. In 2008 the USA Network began rerunning NCIS, still airing on CBS in prime time. Rather than dropping in the ratings, NCIS rose in the ratings, leaping from #14 for the 2007-2008 season to #5 for the 2008-2009 season. Since then NCIS has risen steadily in the ratings until it is the #1 show so far this season. While it could be coincidence, it seems quite possible that the reruns on the USA Network actually helped the show in prime time. In other cases reruns in syndication, on a network, or on cable appear to have had no effect on prime time ratings. An example of this is Roseanne. Reruns of Roseanne entered syndication in 1992 with the start of the show's fourth season. The show's ratings neither immediately improved nor declined, and it aired for another five years. It would then seem that a show's reruns entering syndication or being rerun daily on a network or cable channel either helps the show in prime time or has little to no effect on its ratings in prime time. There is no reason to think that Bonanza would be any different. If the syndicated reruns did have a negative impact on Bonanza, it might not have been due to overexposure, but rather the presence of Dan Blocker in the earlier episodes. Quite simply, viewers might have tuned into Bonanza every day to see Hoss, then watched the new episodes of Bonanza on Tuesday where he was conspicuously absent. In that case, however, it can be argued once more that it was the death of Dan Blocker, not overexposure, that resulted in the show's ratings decline. Among the various reasons given over the years for Bonanza's drop in the ratings in its fourteenth season, one I have never seen given is a decline in the quality of its episodes. If the quality of episodes of Bonanza had dropped dramatically in its fourteenth season, it would not have been surprising if that had led to a concurrent drop in ratings. Historically, once a show has "jumped the shark (the point at which it has become so bad as to be unwatchable)," its ratings will often begin to slide. A perfect example of this is The Man From U.N.C.L.E. A smart, tongue in cheek spy series in its first two seasons, The Man From U.N.C.L.E became an outright phenomenon. Unfortunately, in its third season The Man From U.N.C.L.E. took a turn towards low camp, silliness, and slapstick, perhaps in a poor attempt to emulate the hit Batman. As a result the ratings of The Man From U.N.C.L.E plummeted. Ranked #13 for the 1965-1966 season, The Man From U.N.C.L.E. was nearly cancelled at the end of its third season. For the show's fourth and final season it returned to being a serious spy show. Unfortunately, its viewers did not return and the show was cancelled in the middle of the 1967-1968 season. The Man From U.N.C.L.E. was hardly alone in seeing its ratings fall due to a drop in quality, as there are many other examples in the history of television. Batman (the show The Man From U.N.C.L.E. sought to emulate), the already low rated Star Trek, and Moonlighting are other examples of shows that experienced a decline in quality that led to a decline in ratings. While some shows can last literally years after a sharp drop in quality (both Friends and The Simpsons are examples of this), it is often the case that a decline in the quality of show's episodes results in a drop in ratings. While many shows over the years have experienced a sharp decline in quality and several suffered a drop in the ratings as a result, in my humble opinion Bonanza was not one of them. While I think it is true that the later seasons tend not to be as good as the earlier seasons, at no point do I think Bonanza ever "jumped the shark." In fact, I not only think that Bonanza did not experience a sharp decline in quality in its fourteenth season, I also think it is one of the strongest seasons of the show's entire run. There is not one episode during the fourteenth season that I would describe as bad and many of them I consider to be quite good. While the quality of any given show or episode of a show is largely in the eye of the beholder, I very seriously doubt that most fans of Bonanza would have thought the episodes of the fourteenth season bad enough that they stopped watching the show. Looking at the various possible reasons that Bonanza experienced a sharp decline in its ratings in its fourteenth season, it can be determined, although without absolute certainty, why it dropped in the ratings. Taking into account that opinions as to what is a good episode of a TV show will vary, I think a decline in the quality of Bonanza's episodes in its fourteenth season can be ruled out. Having looked at various instances of shows whose reruns entered syndication while they are still in their initial run, I think overexposure due to Bonanza reruns in syndication can also be ruled out as having caused the decline in ratings. Although it is one of the two most often cited reason as to why Bonanza was cancelled, it would seem that the shift in time slot from Sunday night to Tuesday night might have had only minimal effect on Bonanza's ratings at best. Similarly, while many at the time thought the success of Maude was a primary reason for Bonanza's ratings decline, it seems to have had minimal effect on the show's ratings as well. After everything else is considered, we are left with the death of Dan Blocker, the most commonly cited reason for the decline of Bonanza in the ratings, both at the time of its cancellation and ever since then. Articles published both shortly after Mr. Blocker's death and in the months leading up to the debut of the fourteenth season both speculated that Bonanza could not survive the loss of Hoss. When Bonanza's ratings declined in the autumn of 1972, the blame was often placed on Dan Blocker's death. In the end it was often cited as the one event that led to the show's cancellation. Indeed, a loss of viewers due to the death of Dan Blocker could easily explain why Bonanza began the season at #4 in the ratings, then sharply dropped in the ratings in the following weeks, in a way that other reasons cannot. While there can be no doubt that the shift in time slot and stiff competition from Maude played a small part in the death of Bonanza, it would seem that the primary cause for its drop in ratings was the death of Dan Blocker. Indeed, it seems possible that, even given the show's shift in time slot and competition from Maude, Bonanza might have survived had Dan Blocker lived. 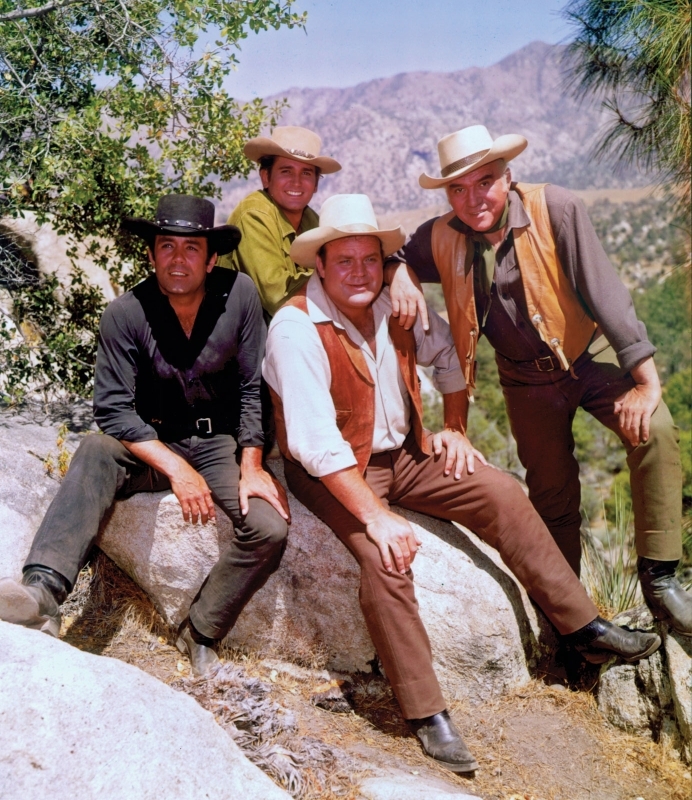 Regardless of what caused the precipitous drop in its ratings that led to Bonanza's cancellation during its fourteenth season, the show was built to last. Bonanza was possibly the most successful American show of the Sixties and ran for fourteen seasons on NBC, making it the third longest running Western after the syndicated Death Valley Days and CBS' Gunsmoke. Since it entered syndication in the autumn of 1972, it has aired constantly, not only in the United States, but around the world as well. Fifty four years after its debut, Bonanza is still on the air. Ironically, the show so often credited with having killed Bonanza, Maude, did not do nearly so well. While Maude was a smash it in its initial run and lasted five years, it fared poorly in syndication following its cancellation in 1977. While Bonanza can be seen everywhere from ME-TV to TVLand to Encore Westerns to Inspiration to numerous local stations, Maude can only be found on Antenna TV and a smattering of local stations. The aforementioned AP story published 14 November 1972 stated that Bonanza "...withstood everything but time and Maude." It would seem in the end they were wrong. Bonanza has not only withstood time, but outlasted Maude by a long shot. 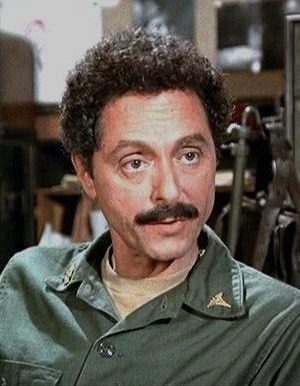 Allan Arbus, former fashion photographer who found even more fame playing psychiatrist Dr. Sidney Freedman on M*A*S*H, died 19 April 2013 at the age of 95. The cause was congestive heart failure. Allan Arbus was born 15 February 1918 in New York City. He attended DeWitt Clinton High School in the Bronx. It was while he was in school that he developed not only interest in acting, but, due to his love of Benny Goodman's music, an interest in playing the clarinet as well. He started taking classes at City College when he was only 15 years old. He left City College after only a year and a half to take a position as a copy boy in the art department of Russek’s Department Store. It was at Russek's Department Store that Allan Arbus met Diane Nemerov. The two fell in love and were married in 1941. 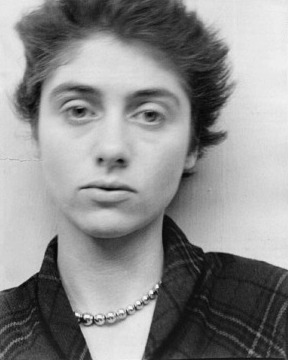 Allan and Diane Arbus eventually started taking fashion photographs for Russek's. Mr. Arbus's career as a fashion photographer was interrupted by World War II. He served as a photographer in the United States Army Signal Corps in Burma. Once he was demobilised in 1946, he and Mrs. Arbus established a photography studio on West 54th Street in New York City. It was not long afterwards that they received a contract from Condé Nast to take photographs for such magazines as Glamour and Vogue. The Arbuses would go onto to shoot photographs for such publications as Harper's Bazaar and Seventeen, as well as photographs for advertising. Their partnership would last until 1956 when Diane ended it to pursue her photographs of those on the fringes of society. Allan Arbus continued in fashion photography for a time (the Diane and Allan Arbus studio remained open until 1969), but increasingly his attention would taken by acting. Allan Arbus began his acting career in off Broadway productions and plays at Caffe Cino. He made his film debut in 1961 in an uncredited part in Hey, Let's Twist. In 1969 Mr. Arbus moved to Los Angeles to pursue his acting career. He made his television debut in an episode of Here Come the Brides. That year he appeared in the film Putney Swope. It was in 1973 that he was cast in his most famous role, that of Dr. Sidney Freedman in M*A*S*H. He continued to appear in the recurring role of the show until it ended in 1984, even appearing in its final episode. In the Seventies Mr. Arbus was also a regular on Working Stiffs. He also appeared on such shows as The Mod Squad, Chopper One, The Odd Couple, Archer, Karen, Hawaii Five-O, The Tony Randall Show, Wonder Woman, Taxi, The Rockford Files, and Salvage 1. He appeared such films as The Christian Licorice Store (1971), Cisco Pike (1972), Greaser's Palace (1972), The Young Nurses (1973), Coffy (1973), Cinderella Liberty (1973), Law and Disorder (1974), Damien: Omen II (1978), Americathon (1979), and The Last Married Couple in America (1980). In addition to his continuing role as Dr. Freedman on M*A*S*H, in the Eighties Allan Arbus was a regular on the TV show The Four Seasons. He also appeared on such shows as Here's Boomer, Bret Maverick, Quincy M.E., Spies, O'Hara, Duet, and Hunter. He appeared in the films Gangster Wars (1981), Volunteers (1985), Crossroads (1986), and Too Much Sun (1990). In the Nineties Mr. Arbus appeared on such shows as Brooklyn Bridge, Law & Order, In the Heat of the Night, Mad About You, N.Y.P.D. Blue, Judging Amy, and Curb Your Enthusiasm. He appeared in the films Josh and S.A.M. (1993), Lieberman in Love (1995), In Dark Places (1997), and Making Contact (1999). Although much attention has been paid to Allan Arbus's acting career in the media, it must be remembered that he was a photographer first. What is more, Mr. Arbus was a very talented photographer. Alongside his wife Diane Arbus, Allan Arbus shot photographs of such models as Dorian Leigh and Nancy Berg. They developed a style unique at the time, shooting their models in motion. Of course, Allan Arbus would become better known to most Americans for his acting, at which he was also very good. In the obituary for Allan Arbus in The New York Times, Alan Alda told how Mr. Arbus was so convincing as a psychiatrist that he would sit and talk to him between takes as if he was a psychiatrist. There can be little doubt that many Americans were convinced he was one as well. While Allan Arbus may have been best known as Dr. Freedman on M*A*S*H and he played many similar doctors over the years, he could be equally convincing in other roles as well. Indeed, he gave a great performance as the drug dealer Arturo Vitroni in Coffy. Allan Arbus was a multi-talented man, one who was a great photographer and a great actor as well. From all reports he was very good at the clarinet as well. He was truly a rarity--a man of many talents who was good at them all. If you look closely at the posts on this blog, you might notice a minor difference. At the bottom of each post are buttons that will allow you to share that particular post by email, on Blogger, on Tumblr, on Twitter, on (*ahem*) Facebook, and on Google+. Blogs on Blogger have had this capacity for some time, but sadly the buttons would not work with my old template (which was essentially a combination of the old Blogger Minima template, a custom template I'd found online, and some of my own modifications). It was yesterday, then, that I re-created my template using Blogger's relatively newer Simple, three column template. The end result is that I finally have the buttons for email, Blogger, Tumbler, Twitter, FB, and Google+! Anyway, I do hope you appreciate it! I generally don't like to get political on this blog. The exception is when a particular bill could have an impact on this blog. Last year I took part in the internet blackout to protest SOPA. Today a similar blackout is taking place to protest CISPA. Since I have no practical means to blackout this blog on such short notice, I thought that I would write about CISPA and let people know how to fight it instead. For those who don't know, CISPA is short for the "Cyber Intelligence Sharing and Protection Act." The goal of the bill is a noble one--to make it easier for the government to investigate cyberthreats and to make the United States safer against cyberattcks. The problem is that CISPA essentially throws the baby out with the bath water. Quite simply, it allows private companies to share users' data without those users' knowledge or even their permission. What is worse is that CISPA is so poorly written and so vague that companies could share a user's data even when there was clearly no evidence of a cyberthreat. Essentially, CISPA would create an exception to existing privacy laws, giving private companies and the government carte blanche to invade people's privacy. Sadly, despite the large amount of opposition to the bill, the House of Representatives passed CISPA last week. The bill has now moved onto the Senate. Fortunately, there are several ways for one to fight CISPA. The simplest may be to simply post one's opposition to the bill on Google+ or Twitter using either the hash tag #StopCISPA or #CISPABlackout. Another is to sign a petition. There is one at petition to "Stop CISPA" on Change.Org and another set up by Fight For the Future. Of course, the best way to fight CISPA is to contact one's Senators. The Electronic Frontier Foundation has a simple, one click email that will automatically send emails to one's senators. OpenCongress.Org has an entire page devoted to how to fight CISPA, as well as their handy ContactCongress feature. Now President Obama has threatened to veto CISPA should it pass the Senate, but it seems to me much easier if we stop it now in the Senate. Aside from never reaching the President's desk, it would also send a clear message to both the House and Senate that we the people oppose CISPA, making it less likely that it will ever rear its ugly head again.